Days of Yore opens today at noon! This high fantasy event is themed after the days of Conan the Barbarian and ancient Rome and Greece. I am featuring an awesome array of items from Adam-n-Eve, Dahlia and 3rd Eye. I also have on more goodies from The Skin Fair. 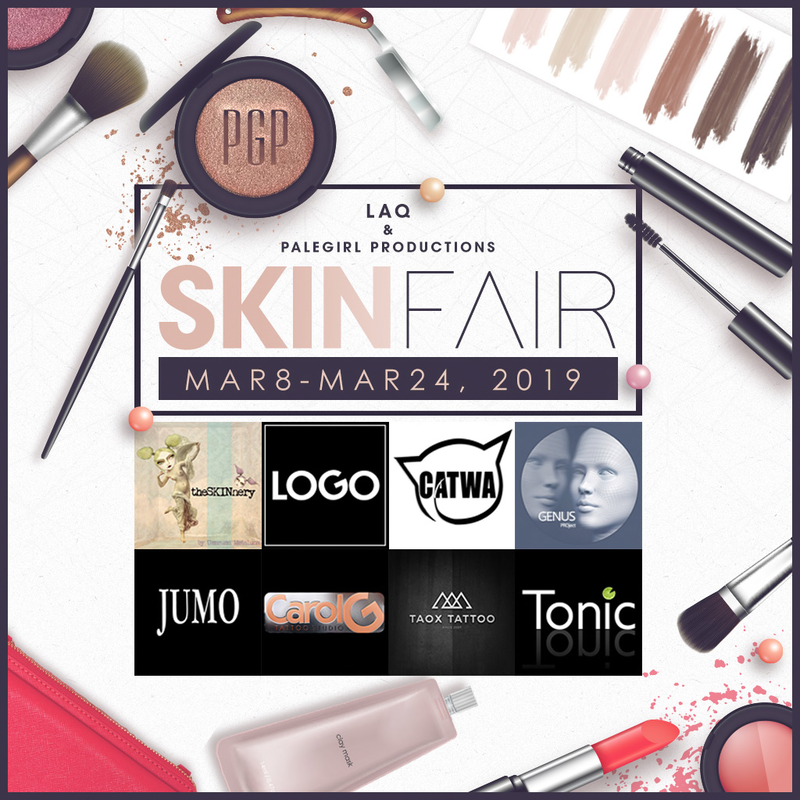 The Skin Fair closes on March 24th so hurry on by before it ends. Who knows when some of the items there will be in the inworld stores and MP after its over. Enjoy!